Once again my friend Evan Gamblin, of the Ottawa area in Canada has come up with some interesting photos from England in the 1960s. As I understand it, Evan lived in England for a few years at that time and attended school over there. Evan’s interest in cars started early in life and fortunately for us, Evan took a lot of pictures of cars. 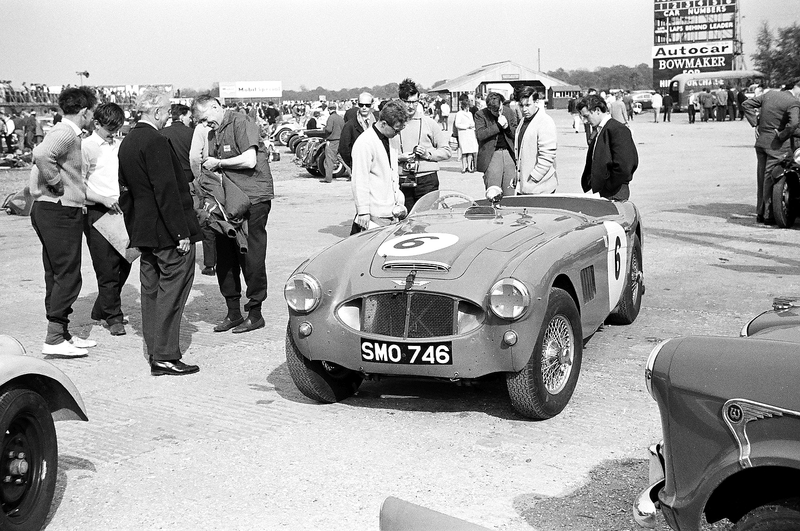 Because I will be competing with Simon Arscott in a big Healey in this year’s LeJog car rally, Evan sent me some pictures that he took of a big Healey at the Silverstone race track in 1964. I am including these photos in this post. Thanks Evan for sharing these photos. 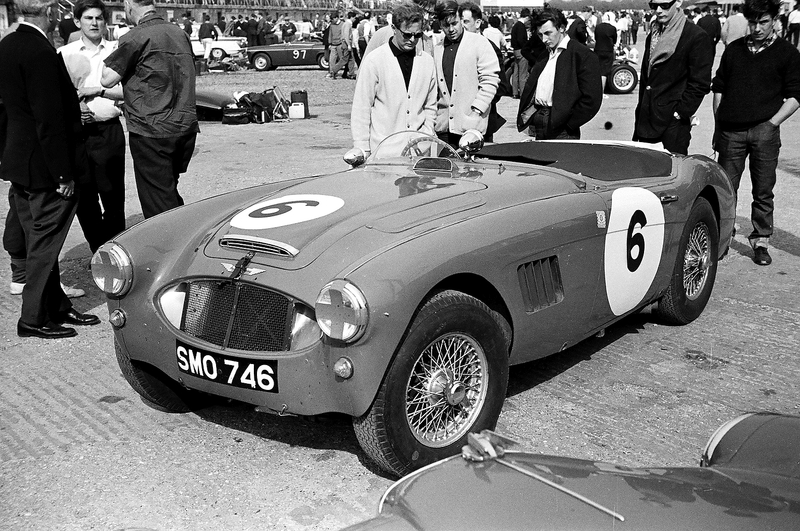 This Healey is a 1959 Austin-Healey 3000 that was built for the team of Jack Sears/Sam Moore to compete in the 1959 Alpine Rally as part of the BMC works team. Their rally ended on the infamous Vivione Pass where an impact with a gully flexed the engine mountings putting the fan through the radiator core. In 1960 John Gott along with Bill Shepherd competed in the Alpine Rally where they finished 8th Overall and 2nd in the Grand Touring Category: Over 2,000cc. Later that year John Gott, along with navigator Rupert Jones, drove this car in the 1960 Liege-Rome-Leige rally to a 10th place overall finish and third in class. This was a tough rally as only 13 of 81 cars made it to the finish! 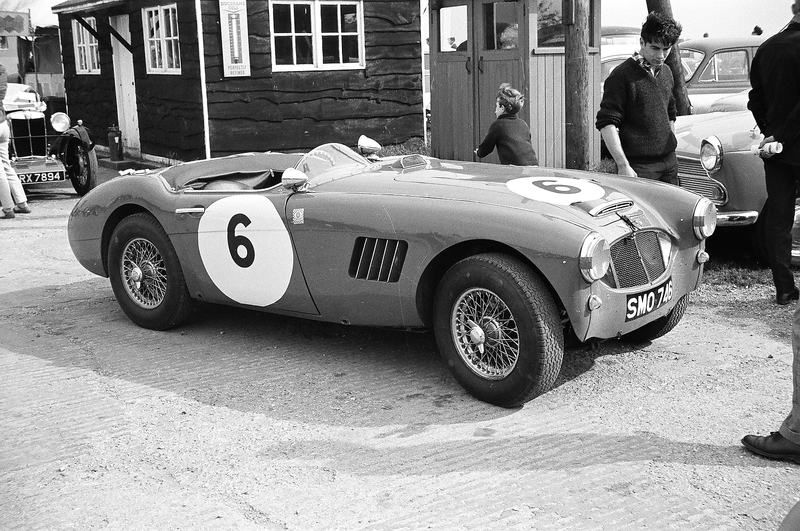 At the end of the 1960 season, the works cars were put up for sale and John Gott bought SMO 746. Also in 1960, John Gott was appointed Chief Constable of Northampton Constabulary. While Gott did enter the occasional rally with this car, it was mostly used for circuit racing after that time. John Gott was almost as famous as the big Healeys. He was captain of the BMC Works Rally Team up to about 1962, a distinguished policeman, and a successful road racer. Unfortunately in September 1972, John Gott was killed in a racing accident at the Lydden Hill Circuit in Kent while driving this car. With some reluctance the car was rebuilt after the fatal accident with the condition from his wife that the car never be shown in public during her lifetime. The car then entered a private collection and I do not know of its current situation. This entry was posted in Uncategorized and tagged Austin Healey 3000. Bookmark the permalink. Works Minis At Abingdon event. Will send a write up. The link to the Bonham’s listing for the Austin Healey SMO 746 is very informative. I recommend that everyone who might be interested in this car check it out. Enjoy yourself at the Works Minis At Abingdon! I look forward to getting a write up from you about this event. I remember SMO746 well. I grew up in Northampton and got hooked on racing in the sixties. Along with others John Gott and Bil Nicholson (286FAC “MGB”) had a huge influence on me.